Represent the Democratic Party and rally the attention of voters everywhere! 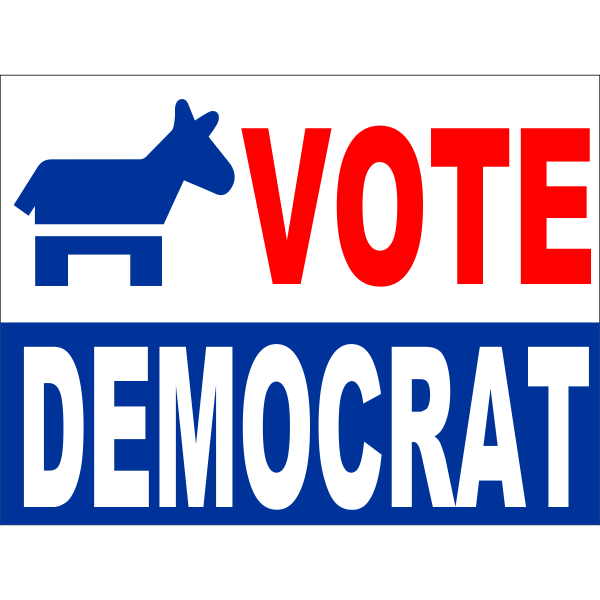 Attract voters to the polls for every election by displaying our eye catching, full color "Vote Democrat" yard signs, sure to inspire citizens to be sure their votes count! Perfect for displaying throughout election season by reminding constituents that every vote counts! Exceptional, high quality workmanship makes our yard signs the perfect choice to help your campaign!